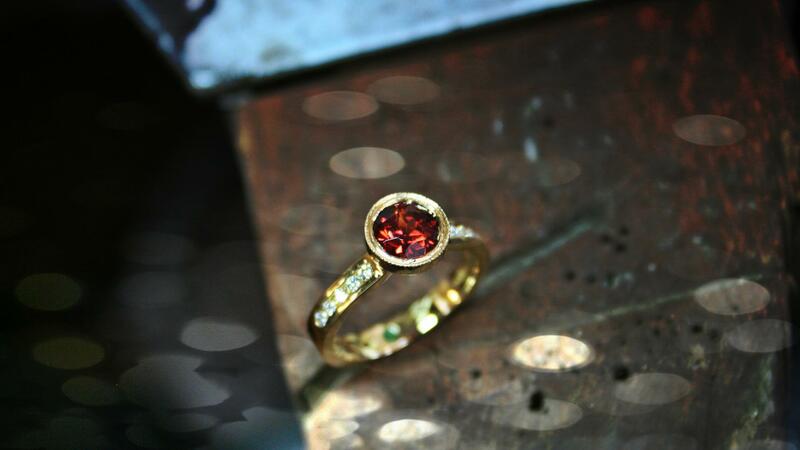 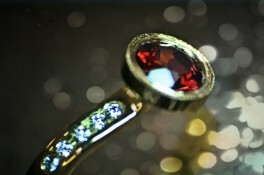 This Garnet Engagement ring has a miligrain finish around the main stone. 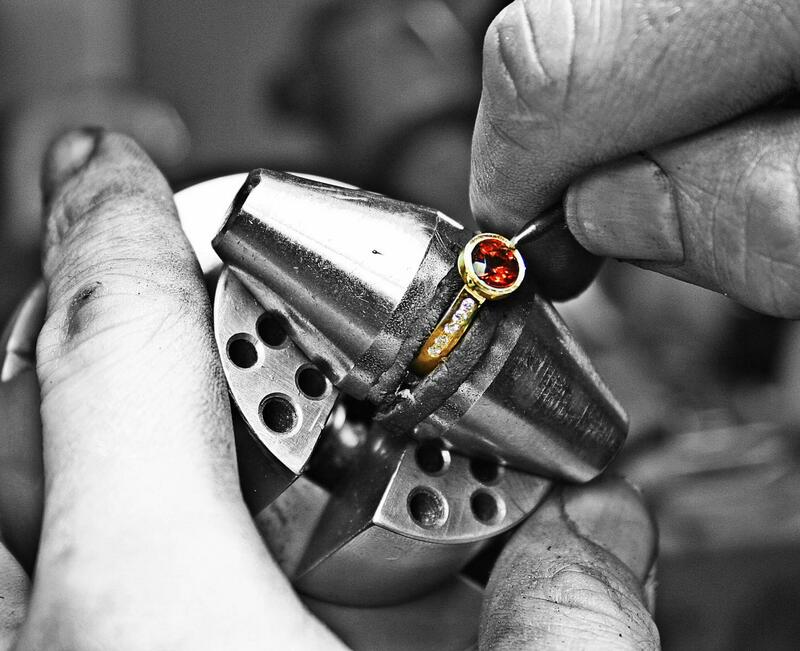 The shoulders are channel set with diamonds and the Ring is made of 18ct yellow gold, the combination of the red, yellow and white of the diamonds works really well. 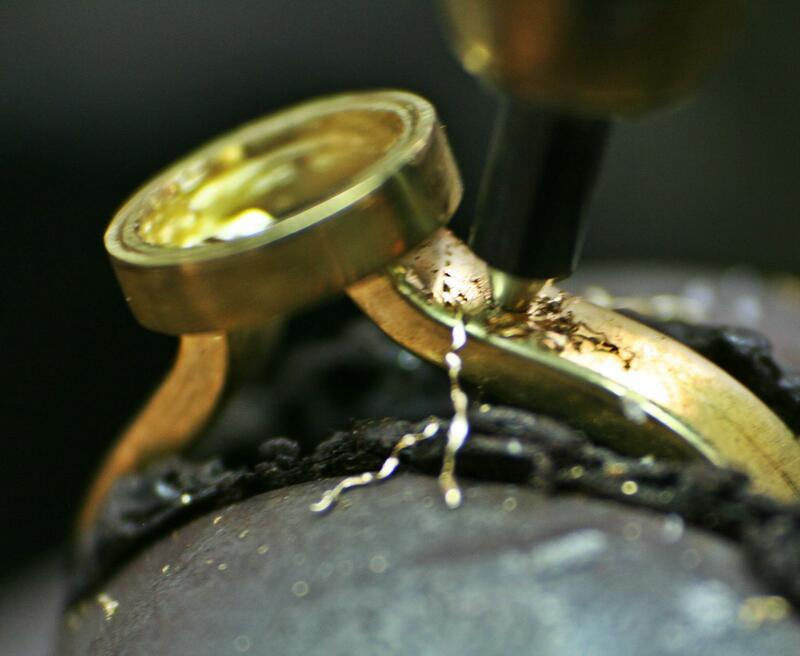 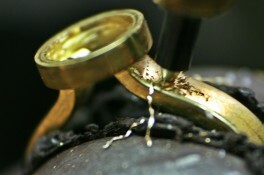 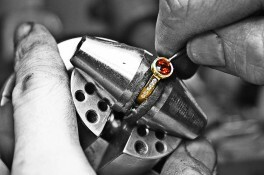 This rings was also made with the wedding ring in mind for fitting flush against the engagement ring.